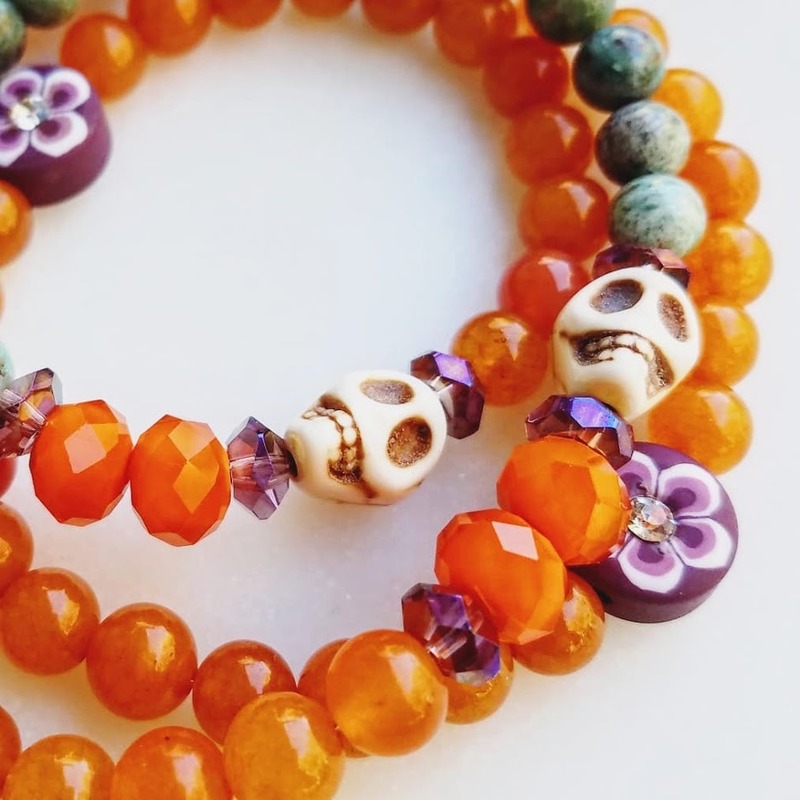 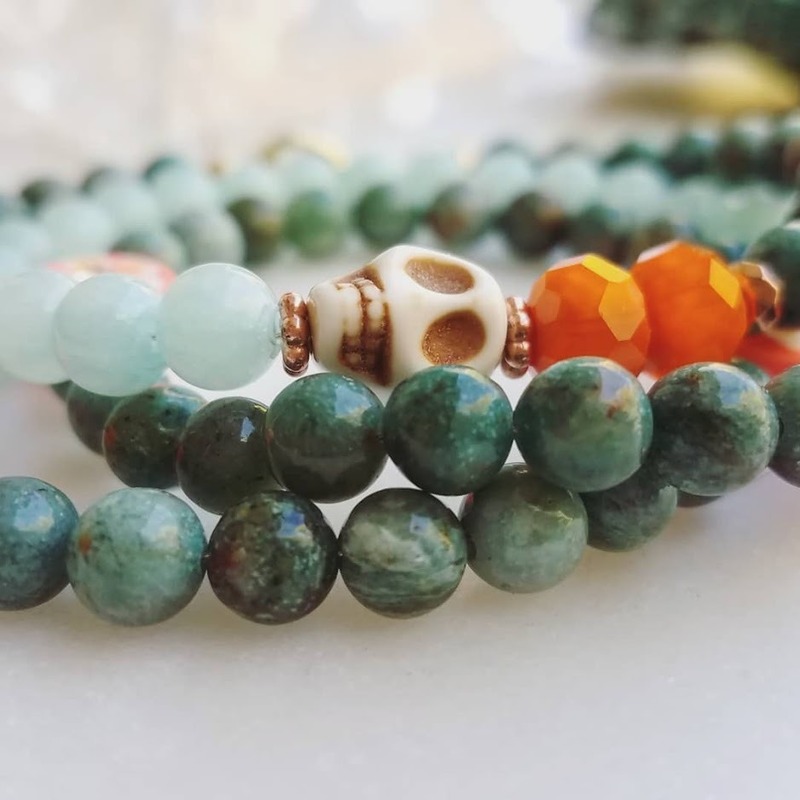 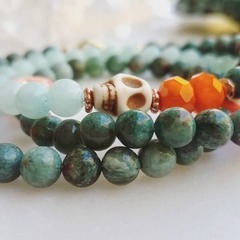 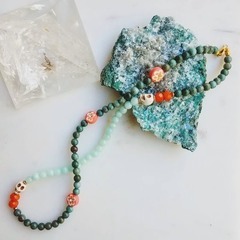 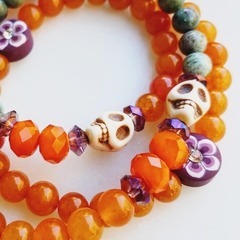 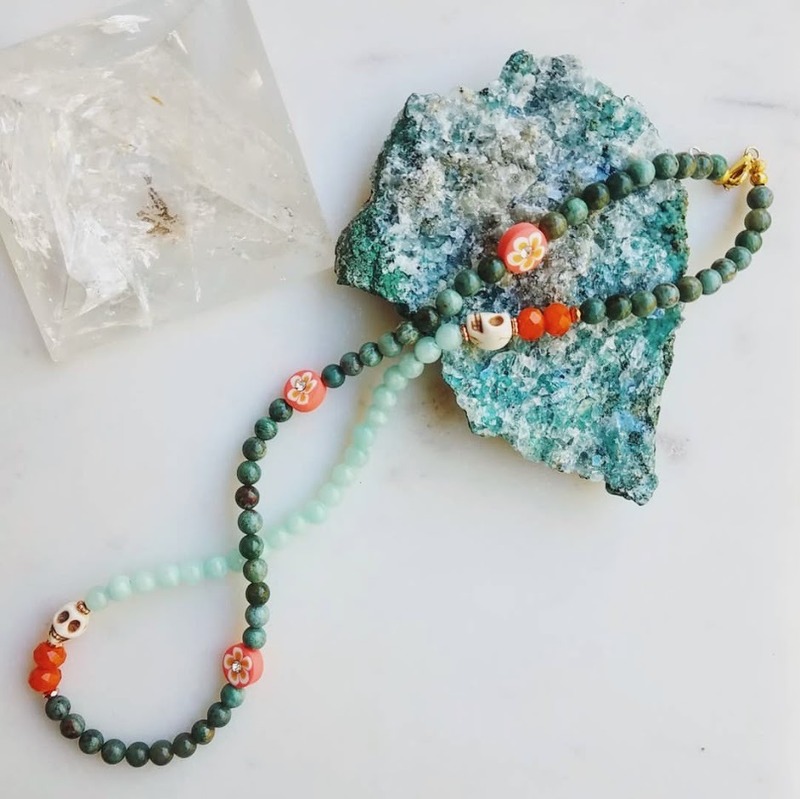 inspired by the spicy colors of Autumn Marigolds these delicate wraps feature nature stone 6mm beads of Jade, African "turquoise" (jasper), Czech glass, Howlite, and Mexican polymer clay beads. 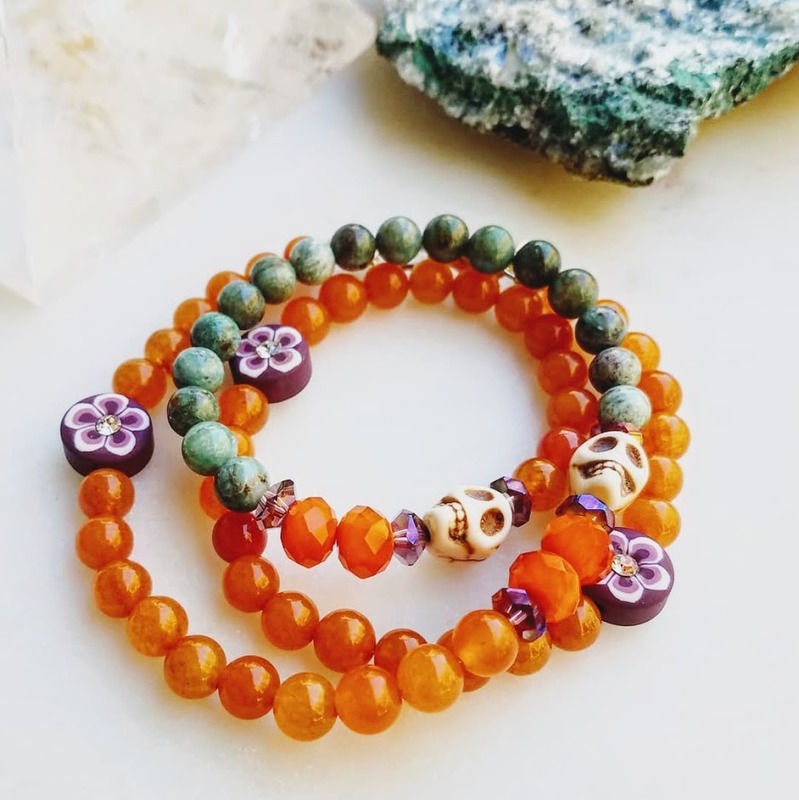 #ooak each is unique and measures approximately 20-22" around the neck and fits S-M size as a wrap bracelet. 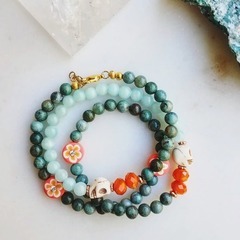 Beaded on quality jewelry wire finished with a lobster clasp.